Currently employed as a Lecturer at CPG and been in post for over 7 years. In 2002 Ayman received his BS in geophysics from the Geosciences Department then on completion of his Degree, he returned to the Department as a lecturer in 2010. 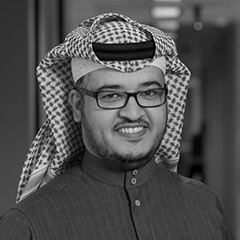 His career path then took him to Schlumberger where he worked for 7 years, during which time he also secured his Master of Science Degree in Geophysics from KFUPM. Al-Lehyani, Ayman Fazea, and Abdullatif Abdulrahman Al-Shuhail. “Mapping and attenuation of surface waves side scattered by near-surface diffractors”. Arabian Journal of Geosciences 2 (2014): 757-771. Mousa, Wail A., Abdullatif A. Al-Shuhail, and Ayman Al-Lehyani. “A new technique for first-arrival picking of refracted seismic data based on digital image segmentation”. Geophysics 5 (2011): V79-V89.